The Minifinder Pico from sweden, one of the smallest gps trackers in the world - affordable gps live tracking - You need help and assistance at sms configuration for your gps tracker minifinder pico? Find suitable SMS commands, setup help and configuration here. Please make sure that you are using proper APN settings. Wrong settings may cause that the gps tracker wont work. TIP You need help finding suitable APN? 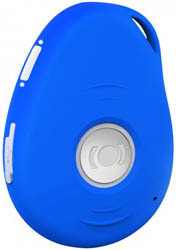 Check out our article about international APN settings for GPS trackers.